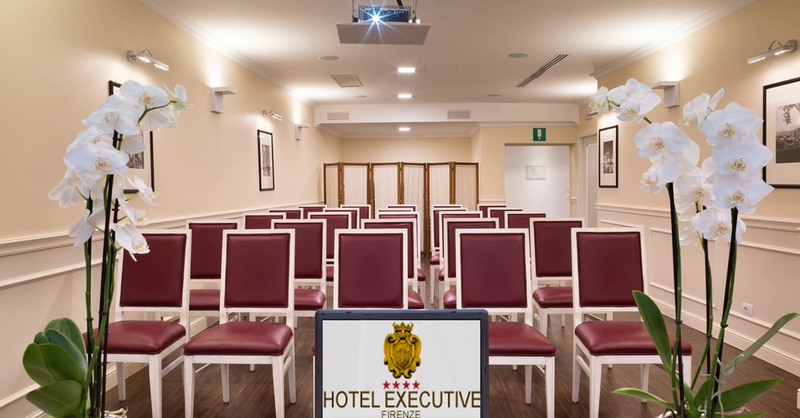 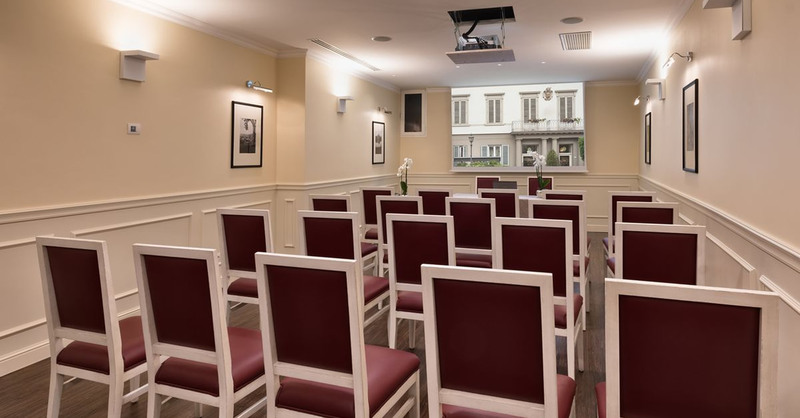 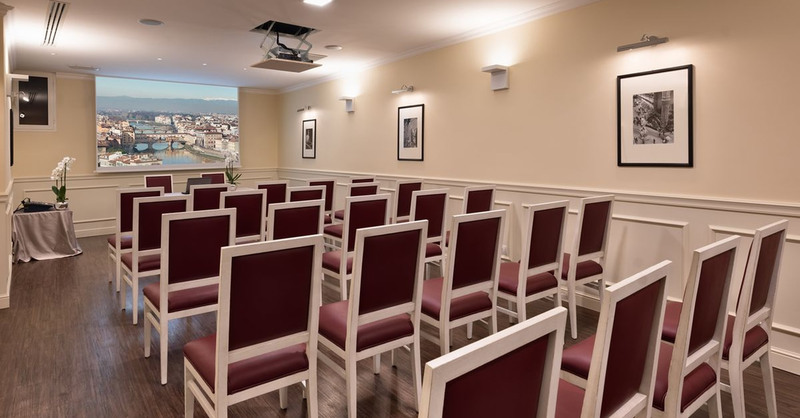 Our "Raffaello" meeting room is the ideal location for organizing conventions, training courses, meetings and events in general. 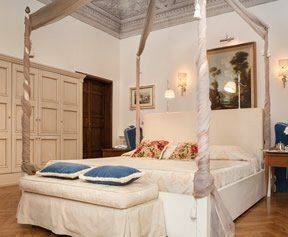 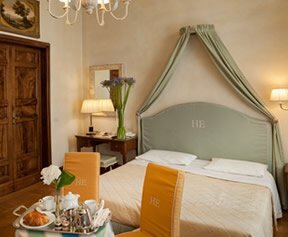 Completely restored in 2017, it is 70 square meters in size, furnished in the elegant Florentine classical style that distinguishes our Hotel in every detail, from the finest boiserie, which also adorns the presidential table and lecturer, up to the elegant and comfortable chairs in antique lacquered finish, with upholstered seat and back, reflecting on the furnishings of a Florentine noble house. 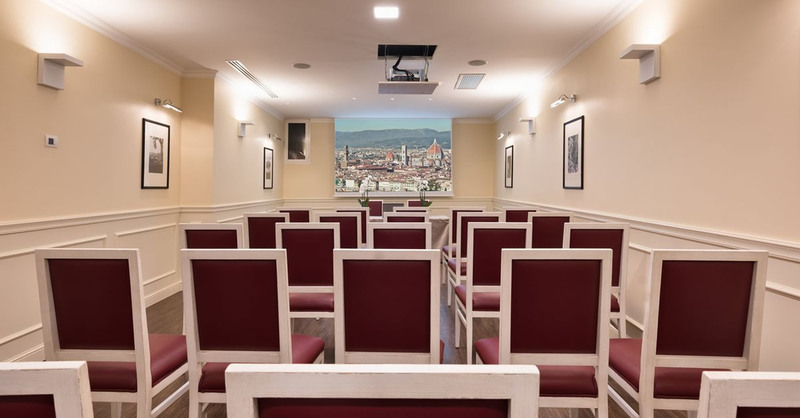 The new and highly functional lighting system has been designed to meet any customer's needs, with the ability to vary the brightness of each single luminaire through an easy and intuitive touch screen control. 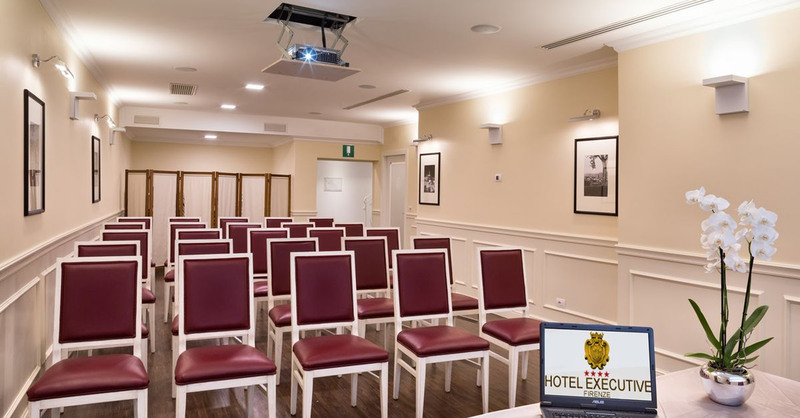 Advanced technologies to ensure the perfect performance of your event: Ceiling mounted PC projector, with VGA and HDMI cable connection from multiple locations, wi-fi with dedicated access point, microphone system, projection on a screen with powerful system audio, laser pointer, possibility of organizing simultaneous translation services with interpreter booth. 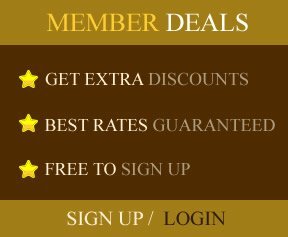 It will be our pleasure to organize the best Food & Beverage services you need.